You mutter, "Jeez, how clumsy can you be?" when your little one bumps his head on the counter/trips/walks into a wall. Again. You feel somewhat avenged when your toddler trips on the toys s/he refused to put away. There are pauses for very un-parental words in your remarks to your kids, like, "Why can't you just ______ put on your ______ shoes?!" Your enthusiastic mommy voice -- the one that should be all about making your child feel loved is just a little bit sarcastic. When the dinner you slaved over is rejected, it's all you can do not to get all frisbee with your own plate. When your children don’t nap, YOU throw the tantrum. You’ve noticed your angel sounding snarkier and snarkier lately. And s/he sounds just like you. It's the worst when you hear your own voice coming from your children - and you don't like that voice. It's the parenting fail that virtually slaps you in the face. This mom was once found by her husband in her closet laugh/sobbing with a bottle of wine. No glass. Just the bottle. He came in from work to a house with two kids throwing Duplos at each other and crying that, "mommy is in her closet. She said she is in time out." It's funny now, years later...but then, it was such an epic mom fail. Totally agree with Half Assed Life. Melanie, I so wish I had this on video. And especially with the stories I hear about you and you boys being FRIENDS now - you actually hang out. There is hope for us all. Okay wow. Guilty, guilty, guilty...all ten of 'em. I want a time-out in my closet with a bottle of wine too, Melanie! 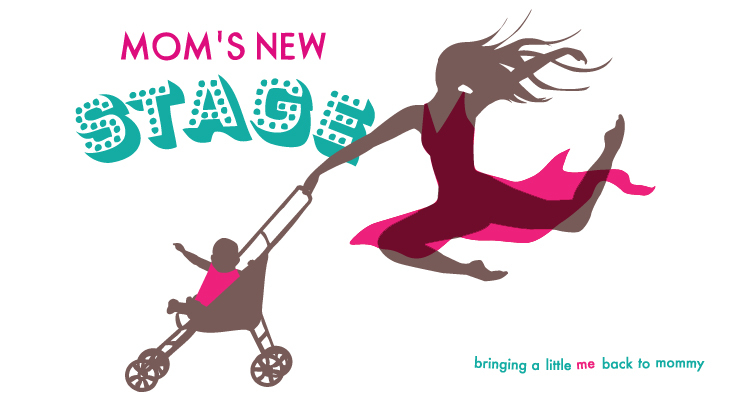 I think wine storage in one's closet might be the next big thing for moms. Container Store, are you listening? Ummm...I may have done everything on this list today. I am officially putting myself into a very long timeout for being so naughty. Just bring your magazines and some wine. Best punishment ever. Sarcastic tones aren't good in parenting? Stink. What if the kids are older than 10? Being sarcastic WITH your kids sounds fun...and a long way away. Sigh. I love #5. Except now, my son inserts the "un-parental" words that I'm trying NOT to say!! I am waiting for that day, Penny. I am surprised it hasn't happened yet actually! Love the: "Why are you always so angry?" 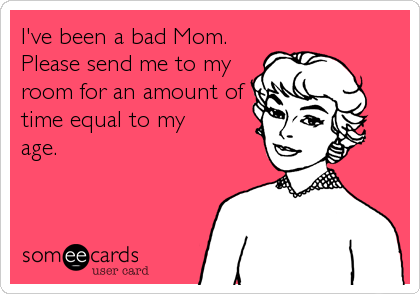 My response would be, "Because you make mommy angry." 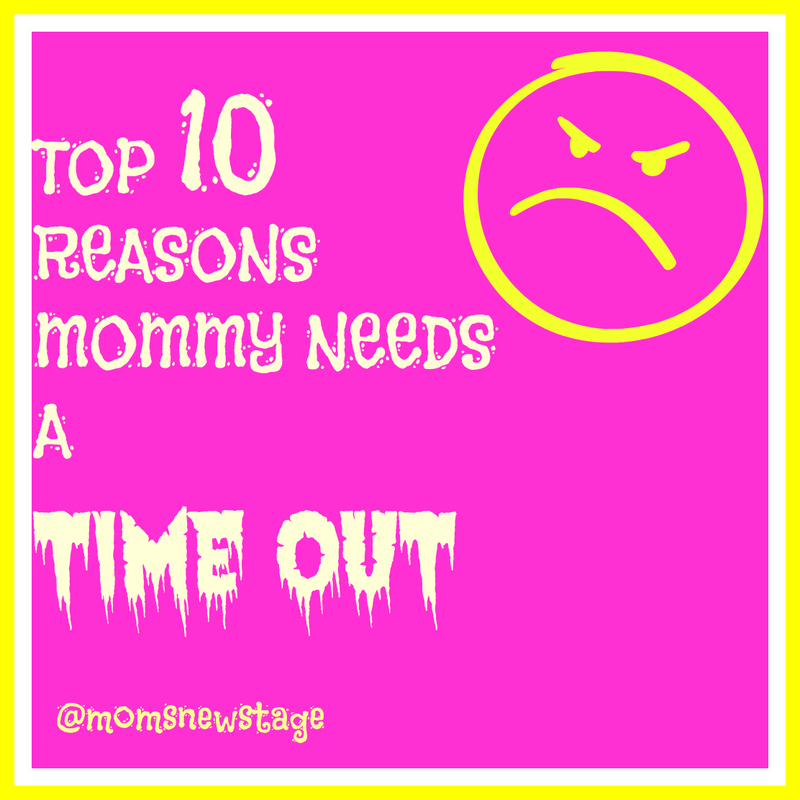 Just kidding, but I always loved when my daughter would give me a time out. It was heaven.